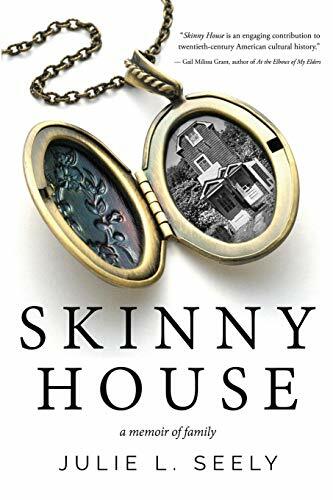 I want to thank all the people who have supported me on my endeavor to write my book, Skinny House-A Memoir of Family. The PRINT format of the book is now available for purchase online at amazon.com. I hope you'll buy a copy—The eBooks will follow soon. As you know I've worked on this book for the past 8+ years in an effort to share my grandfather's legacy of building "homes for colored people" during 1920-1930s in Mamaroneck, New York during the Great Depression. My "biomemoir," as I call it, is really a family biography with elements of memoir. I feel it is especially important for us to tell our own stories and weave family legacies one story at a time, no matter how imperfect they may be. The marketing campaign for the book is in full swing. If you know of any venue/independent book store for a presentation, book signing, book reading, library presentation, etc. Please let me know. I will be attending the major book fairs/expos and festivals in the spring. Watch for ads in The NY Review of Books, NYTimes, and Kirkus Review magazines. Simply buying a book will help. Partial proceeds will be directed to STEM/musical programs, historic preservation endeavors and colleges near and dear to the Seely family. Thank you for your support. All of you have played an important role in my journey to become an author and a legacy-maker I am so appreciative.